There's no better place to feel infinite but my land - Philippines. I was and I will be forever surprised of the thousandfold of visually arresting scenes that awaits in every corner of this blessed archipelago with each effortlessly making our hearts skip a beat and make reality better than expectations. All I needed to do is step out of the threshold, swing to the fullest and open my eyes and heart to brand new adventures and awaken the ready to go spirit in me! So I did - given the once in a lifetime opportunity spearheaded by 2Go Travel. It was a scorching hot afternoon of May as I was mindlessly scrolling on my Facebook when I saw a friend's post about 2Go Travel's Trip of Your Life Travel Contest. I tried my luck as I filled in the electronic form and submitted a photo from my recent trip to Siquijor. Completely oblivious about it days after my application as I was busy with the school opening, I was surprised to receive a phone call from the agency telling me I was short listed! My heart shouted in delight as it was my first time to join in such contest and receive such call. Not long after that phone call, I was told that I was chosen to be part of the 15 individuals who will travel around the Philippines for 12 days ALL. EXPENSE. PAID. Right there and then, I asked permission to the authorities and prepared for that once in a lifetime adventure of mine! 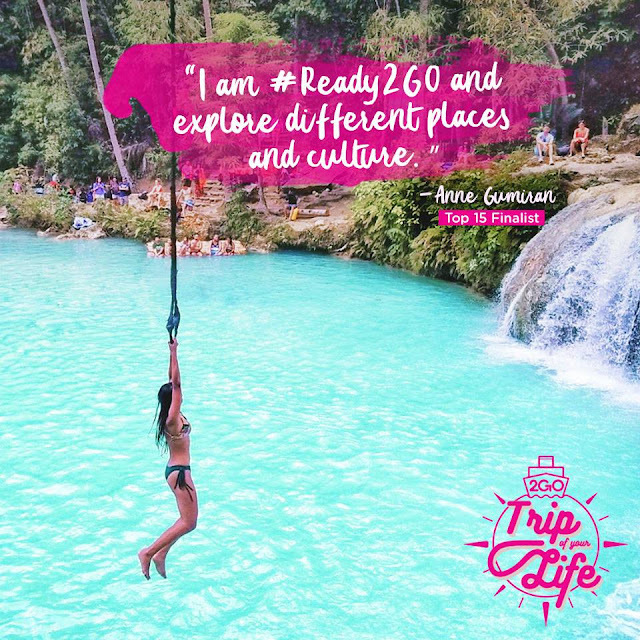 Then, the photo above was posted on 2Go Travel's Facebook page making me an official contestant of the Trip Of Your Life Travel Contest. I was hesitant at first with the thought of traveling around by sea. There were stories recently about ships that sunk and boats that capsized all over the news prior to that trip. But wth, my middle name is YOLO so might as well be in it! And, who would have thought that there's a whole lot of excitement in traveling by sea? I've previously thought that it consumes much time and that I could have spent those in my destination. But then, perspectives have shifted when I got aboard and mindlessly spent hours of being fascinated as we pass through an island and sail from one to another, as got the glimpse of bloody sun setting and as it gloriously rise above clouds. It was such a simple event for such an indescribable feeling. My first time to try 2Go Travel. This vessel departed from Batangas Port at around 8 or 9:00pm and arrived at Caticlan Jetty Port, Aklan at around 5:30 in the morning. It was just as if I'm in a hotel chilling; didn't get sea sick at all. Together with 11 the other chosen people from different regions and walks of life (since the other three couldn't make it), we braved this 12-day adventure of a lifetime in the whole of Philippines armed with our wanderlusting hearts and soles - it was a 'Veni, Vidi, Amari' for us - We came, We saw, We love. For almost two weeks, the once strangers seated in a conference room with their noses on their own businesses, dead silent, turned us from speechless to storytellers. What has supposed to be a contest turned into a backpacking trip of a group of travelers bound by common interests soon intimacy. What's known to one is shared to other - photo editing, camera angles, photography skills and techniques, travel itineraries, travel hacks and other life stuff. Together, we explored the places we've only heard from tales, read from history books and papers and even the places which we never thought existed. We were all bound to be amazed by the wonders cradled by LuzViMinda - from the breathtaking summit in Cebu, enchanting rivers in Aklan and Antique, astounding waterfalls in Lanao del Norte and Negros Occidental, pristine beaches in Guimaras, exhilarating and heart-stopping activities in Cagayan de Oro, historical and cultural heritages in Batangas, delectable local foods in Guimaras, Capiz and Ilo-Ilo and fascinating landscapes in all of these provinces that we have visited. 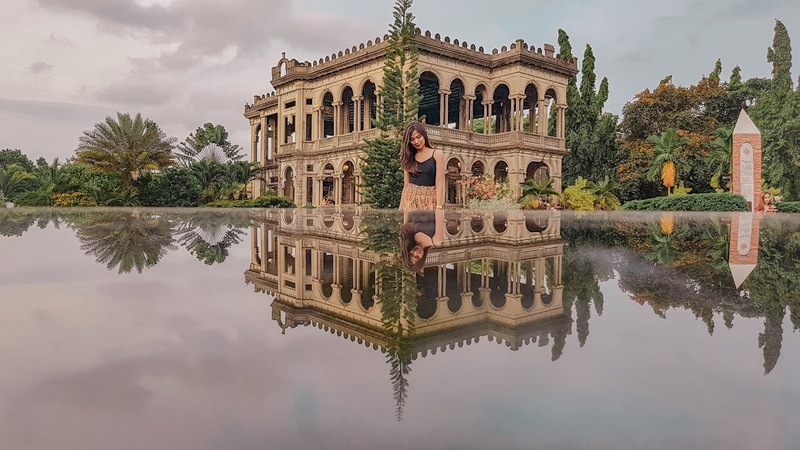 More than discovering the Philippine's priceless treasures, it was also a journey to self-discovery - our roots, untold history and what we are bestowed with by the almighty. At 7:00pm we headed to the port to board to the vessel bound for our next destination - Panay Island. We arrived the next morning to Caticlan Jetty Port. After we had breakfast on board, we packed our things up and hopped into our private van that took us to the first destination in our itinerary - Buruanga River in Aklan. After an hour, we left the place and headed to Pandan Antique where we found a secret place in Bugang River through Naranjo Water Park. Leaving this hidden paradise in a bit to experience another one, we hopped into our ride and headed to Malumpati Cold Spring. It was a weekend so we expected the place to be packed. Instead, we had our lunch in the place ordering nothing but Filipno food on our table. After trying all the water activities, we retired early for the adventure the next day. We left Pandan Antique at around 8:00am and en route to Capiz via Aklan. We dropped by Sampaguita Gardens Resort and Precious Moments. After that, we headed to Roxas City while a sumptuous all seafood lunch awaited for us. Our hunger was satiated with the delectable meal offered by the local government through Palina River Cruise. After lunch, we drove to the town proper to visit Panublion Museum where stuff owned by the former president, Manuel Roxas, were stored for public viewing. 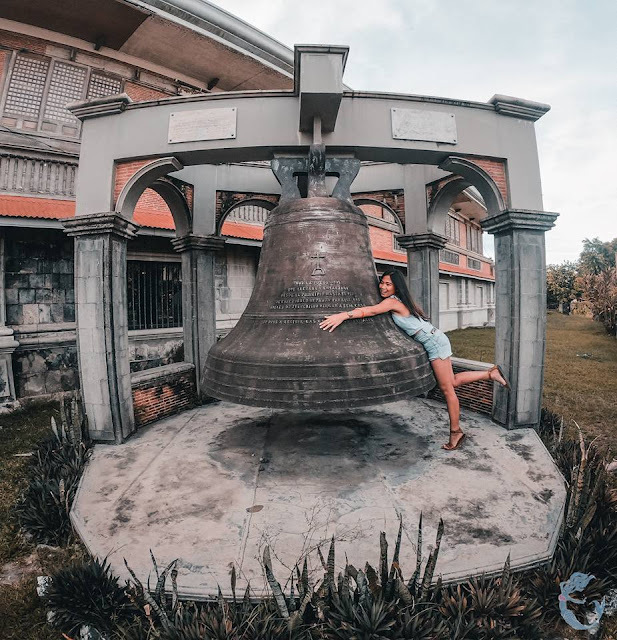 Few minutes away from the museum is the home of the largest bell in Asia, the Santa Monica church which we visited next. The last two stops of the day gave us the best spot to witness the glorious sunset. First is the Sacred Heart of Jesus Shrine which is quite a high point with a good overlooking of Capiz's landscape and the second, the Lighthouse in Culasi Port giving us a view of the ocean and sweet peak to Romblon's Cresta de Gallo. 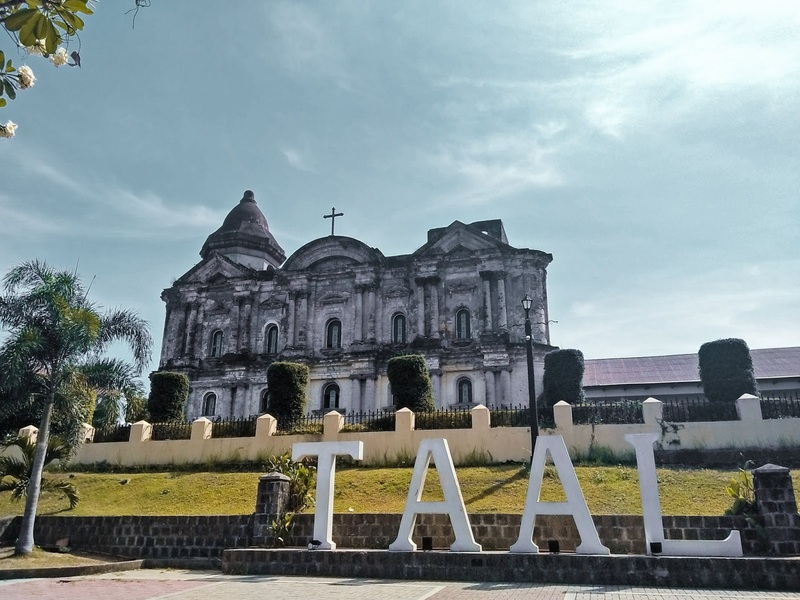 We visited our last stop in Panay Island on Day 4 - Iloilo City. It was a trip down the Philippines' history as we explored various ancestral houses including the ones below; and of course, the Jaro Cathedral. After ticking the provinces in Panay Island off our travel destinations list, we sailed to the small and quiet province of Guimaras - the Mango Capital of the Philippines. I was so stoked about the province since I love mangoes way too much! I never thought that Guimaras would get me this much fascinated. Pineapple pizza was a usual but not a mango one. We stopped by Pitstop for some Mango Pizza and I swear it's among the best pizzas I've ever tasted. Well, more than that, little did I know that it is also a home to pristine beaches which made me fall in love with it even more! After our trip to Guimaras, we went back to our hotel in Iloilo and sailed to Bacolod the next day. Our trip to Bacolod was the best among the ones I've ever had. We were welcomed by the staff of 2Go Travel and Merzci Pasalubong and we were given gift certificates. 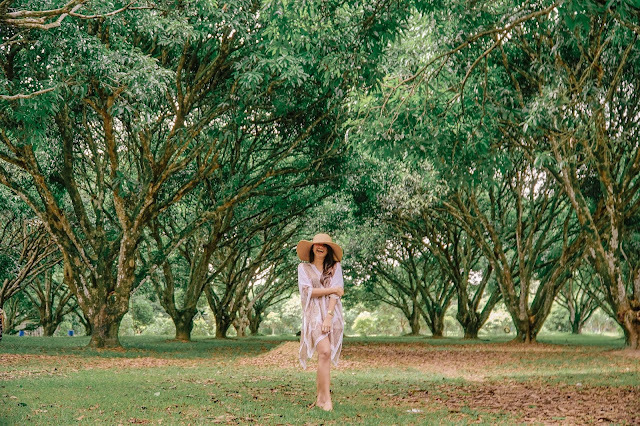 We only went to a few but the best spots in Bacolod. First was Campuestohan Resort where there were lots of fun activities to keep us busy. We tried the sky bike and a lot more. Next to this was Balay Negrense, another ancestral house. The last destination made my heart flutter as I have always been in love with it even before I personally saw it. It was said to be the Taj Mahal of the Philippines. Each day of the trip gets better and more exciting. 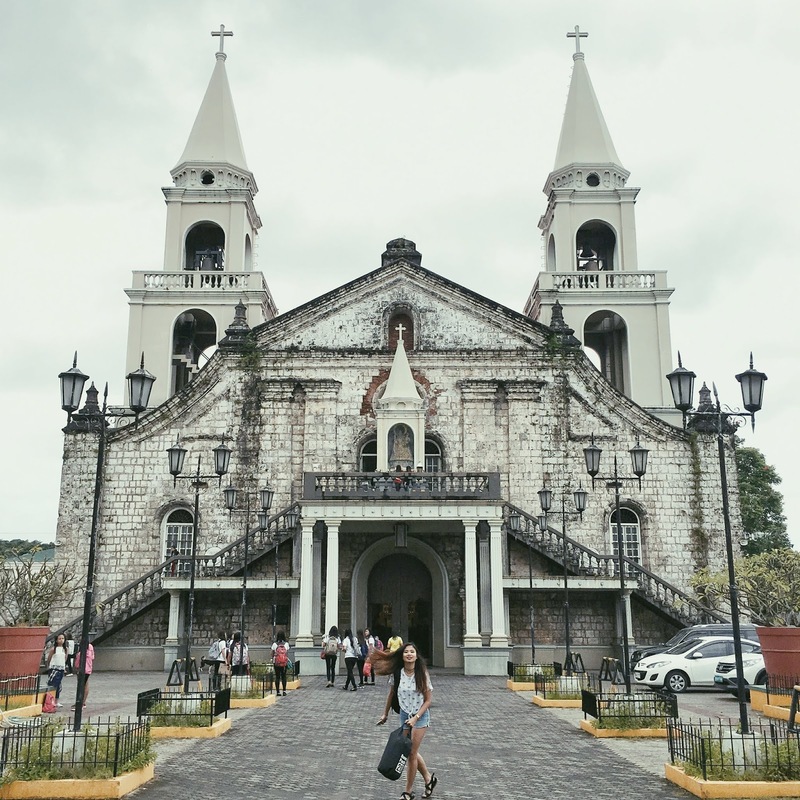 On Day 7, we visited the Summer Capital of Negros Occidental - Don Salvador Benedicto. It was a day meant for coffee and grilling. We shared good coffee over a good view at Jomax Peak and Cafe La Guada. The drizzles made the coffee taste even better. On our way to our last destination, the rain fell so hard which made it impossible for us to explore the waterfalls in Mambuka Resort. Instead, we spent our time dipping in the 40-degree Celsius of their Sulfur Hot Spring. It's that time again to board to another 2Go Travel vessel. This time, we got into a bigger one - The M/V St. Therese Child of Jesus. The ride was hella long yet comfortable. The long trip was not felt at all. We roamed around the vessel as if we're in a hotel. The rooms were cozy and comfortable. There are mattresses, blankets, warm shower, toiletries and television. There is a karaoke room, restaurant, souvenir shops and convenience store. What more do you need? 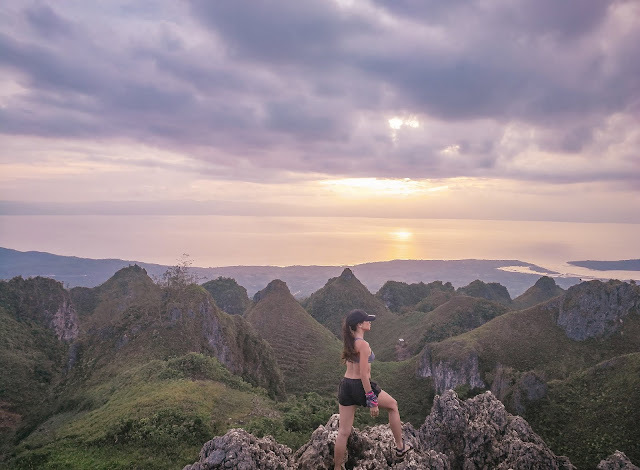 Plus, I also get to breath in fresh air and enjoy the sun rise and set with the ocean and a few landscape that we passed by as its background. Yes, it couldn't be more lovely. It was a long trip from Bacolod City to Cagayan de Oro. We left Bacolod City late at night and arrived at Cagayan De Oro City at dusk the next day. After checking in, we had dinner in a nearby mall and retired for the day since we were about get even stoked for the activities the next day. Even before the sun was up, we hurried down to our ride for our first activity - White Water Rafting. The activity was facilitated and hosted by Kagay White Water Rafting. Upon our arrival at the jump off, we were oriented by their staff as to what are do's and don'ts in the White Water Rafting Activity. After that, our inner adrenaline junkies were wide awaken by the rushing of the white waters. Gladly, none of our rafts stumbled and none was a 'swimmer'. Just when we thought that that's all the thrill we'll get for the day, we were brought to another one that indeed took our breath away for a second - Seven Seas Water Park & Resort. On the night of our 10th day, we got into another 2GO Travel vessel bound for Cebu. It was a long trip. As we were expected to dock almost around lunch time the next day. Upon our arrival, we just had lunch and headed to South Cebu to visit Kawasan Falls and Dalaguete's Osmena Peak. The exhaustion from the long drive from city to South Cebu disappeared the moment we dipped into the clear and cold waters of Kawasan Falls. Refreshed, we went back to the van after few hours and headed to Dalaguete so we could catch the glorious sunset at that highest point. Our very last day together went fast. After our breakfast, we headed to the city for another time travel back to the Spanish era in the Philippines. After that, we bid our goodbyes. Audie, Sir James and I were left in Cebu since Auds is based in there, Sir James' flight was scheduled later that afternoon and I was going to Siargao the next day. The trip was a reminder for me to never stop exploring and crave for more adventures because it has made me realized that this world will never run out of surprises. It has driven me to fill my pockets with memories that I'll soon tell the children of the next generations to inspire them to stay alive. In fact, these memories are treasures that no one can ever steal away from me, from every wandering soul. It's the only treasure that I have the infinite capacity to keep in my heart and my mind. Thanks for featuring me in this blog queen! (candid photo hahahaa).